If while traveling through any of the above parishes, you wish to report a crash or need emergency assistance, you may contact the local law enforcement by dialing “9-1-1” or if you have a cellular phone, you may contact Troop L by dialing *LSP (*577). 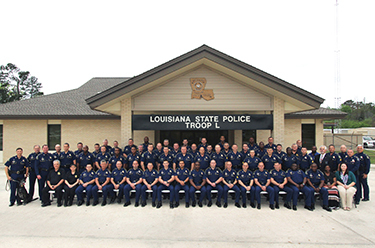 Troop L is very proud to protect and serve the citizens of Louisiana, and we enthusiastically welcome visitors to our great state. If we can assist you in any way, or if you have questions concerning Troop L, please contact our Public Information Officer at (985) 893-6250.